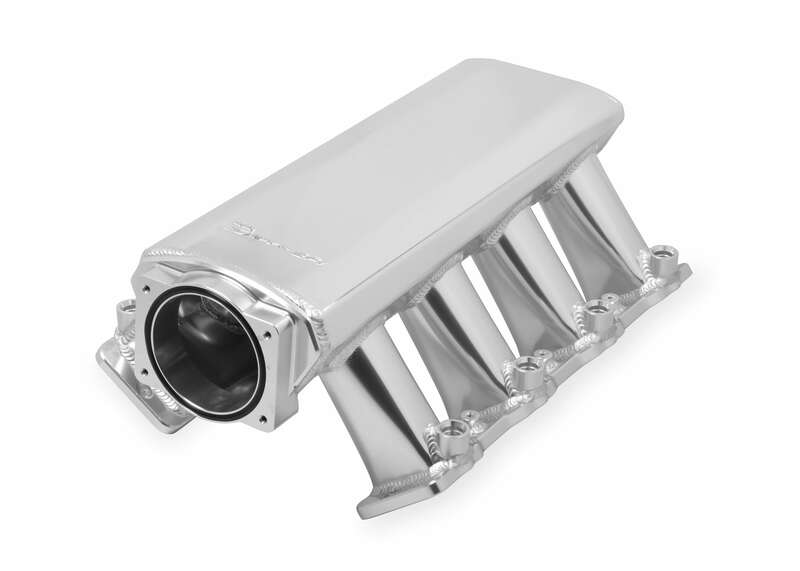 Description: This MP3 adapter is designed SPECIFICALLY for your late model GM muscle car. This kit comes with all the correct plugs/wires so that it comes plug and play right out of the box! There is no need to purchase any adapters or accessories. - This unit does not take up your cigarette lighter. - It does not experience ANY interference from other radio stations. - It does not fall apart after a week. - You don't have to lose your ability to play CD's on your factory unit. - It delivers digital quality sound! Always! - It's made in the USA! The MP3 ME's compact package makes it easy to hide behind the dashboard, preserving the appearance of your GM's interior. 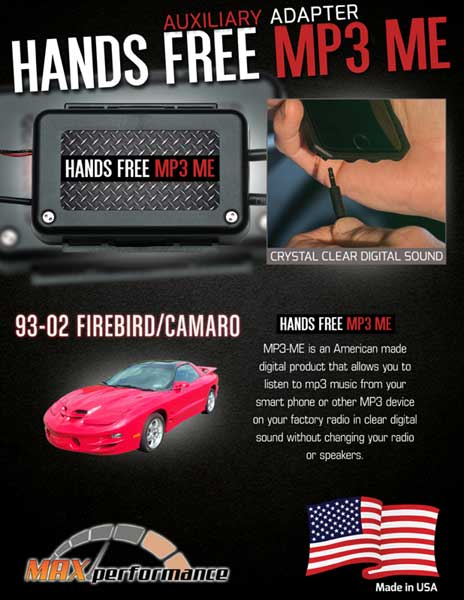 The MP3-ME is optimized for ALL factory 93-02 Firebird/Camaro Radios and more. The MP3-ME routes music from your portable media player directly into your car's factory radio (and automatically bypasses the antenna), so there is never any broadcast radio interference.